You know, Americans go mad for the cheesecake. They have different variants of the popular cake, but the desserts having the cheese among the main ingredients are not an invention made in the US since they have their roots in the earliest traditional Italian cuisine. Yeah, once again the Italians are in first place. The Italian culinary heritage has dozens of old dessert recipes made with cheese and more than 200 recipes of sweet cakes with cheese are known. In Emilia-Romagna, especially in the province of Parma, there’s a delicious ricotta cheese cake, light and sweet, covered with a delicious layer of dark chocolate. In Abruzzo different desserts long for supremacy: from the regional pizza with ricotta and cream to the Easter”pizza” with cheese, eggs and fruit. In Campania we can’t fail to mention the famous Neapolitan pastiera, a pastry filled with sweet ricotta and cooked wheat. According to an ancient legend, after some fishermen’s wives left a baskets with ricotta, candied fruit, wheat, eggs and orange flowers on a shore as offerings for the sea, so that their husbands might have a safe journey and could return home soon. In the morning they returned to the shore to welcome their husbands and noticed that through the night the waves had blended the ingredients and produced a cake: the pastiera. Certainly this cake accompanied the early pagan festivals to celebrate the return of Spring. And if the pastiera is typical of Easter, at Carnival occasions the migliaccio appears on the tables of the area, a traditional cake made with semolina, ricotta, eggs, milk, sugar, salt, diced candied orange, cinnamon, vanilla and orange flavor, first cooked over a flame and then baked in the oven. Each Italian area has its own variation of tiramisù. By way of instance, if you happen to be in Rome you need to try the famous tiramisù by Pompi, a local old who makes a delicious tiramisù, including some imaginative variations, advocated with the guidebooks of Rome. 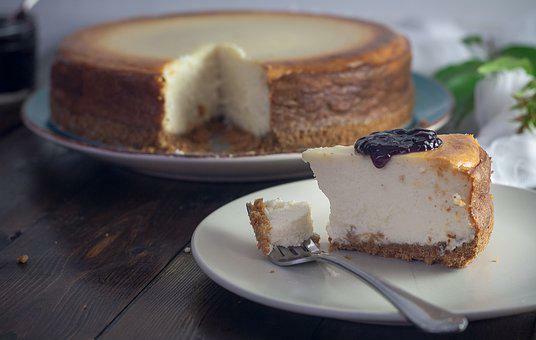 But in the field of cheese cakes the winners are the two major islands of Italy, Sardinia and Sicily, where the typical sweets made with cheese become numerous. The Sicilian cassata is absolutely amazing: for the uninitiated, it is a standard cake made with ricotta cheese, enriched with chocolate chips, covered with icing sugar and finely decorated with candied fruit. Its origins date back to the Arab rule in Sicily (IX-XI century AD). And the ricotta has been created in Sicily since ancient times. The Sardinians have was true magicians pastry. As a matter of fact, in the island you can select among an endless selection of soft or crunchy sweets made out of traditional cheeses. Just to name a few, the cassateddi and the pardulas, the former with a half moon shape and a center of ricotta, the latter round-shaped and filled with a pecorino cream. But in Sardinia you can’t miss the sebadas, fried pastries made from durum wheat flour and stuffed with sweet cheese, flavored with lemon peel or orange or the distinctive sweet ravioli filled with fresh goat cheese, eggs, sugar and lemon, a real treat that accompanies ancient sacred festivals.